MagLab users work across our seven facilities and are at different points in their careers. About 32% of student users and 23% of postdoc users are female. User Luisa Chiesa of Tufts University School of Engineering. 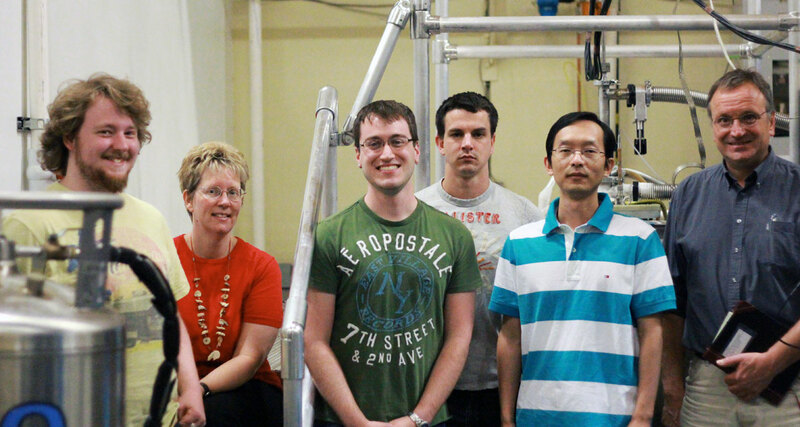 Frequent user Janice Musfeldt of the University of Tennessee with her research team. Users Eduard Chekmenev (Vanderbilt University), left, and Michael Harrington (Huntington Medical Research Institute) do migraine research using the 900 MHz 105 mm NMR magnet. 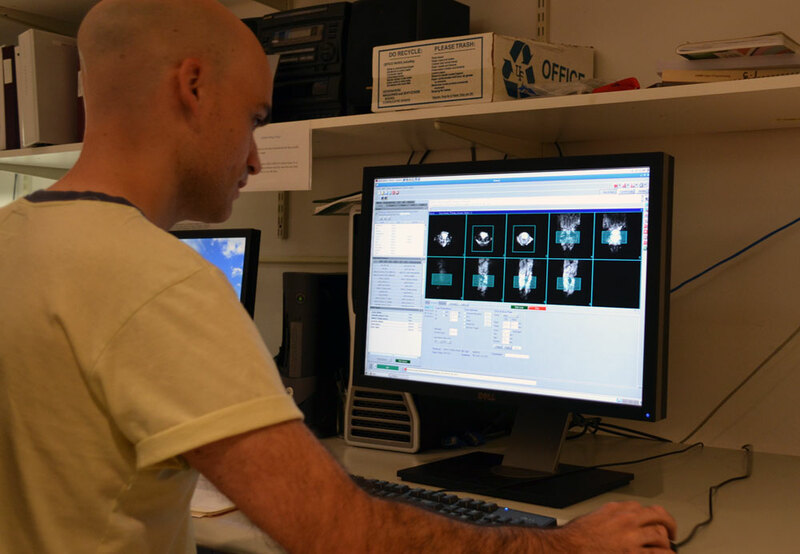 User Jonathan Putnam reviews data from an experiment. 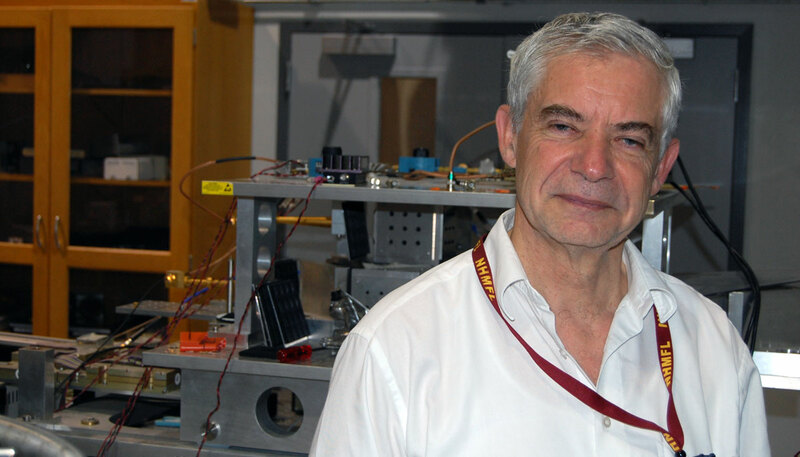 User Klaus-Peter Dinse from the Freie Universitat Berlin with the transmission spectrometer. 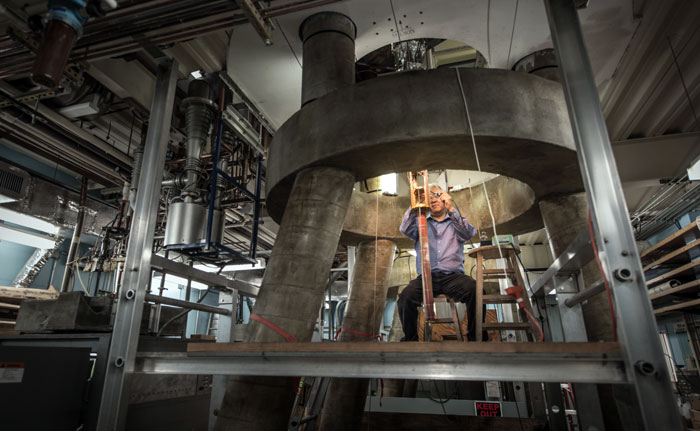 This facility is for scientists who wish to conduct experiments in high magnetic fields (up to 15 tesla) and at very low temperatures (down to 0.4 mK) simultaneously. Every year more than 1,800 scientists and engineers use our facilities — most at no cost to them — and publish more than 400 peer-reviewed publications annually. Graduate students and Nobel laureates, researchers from academia and the corporate world, they travel from across the globe for a chance to work with unique, world-record instruments and experienced staff. The MagLab exists for these users to conduct cutting-edge research that expands the boundaries of scientific knowledge. Researchers visiting the lab investigate interdisciplinary scientific problems, exploring promising new materials, pressing global energy problems and our understanding of the biochemistry that underlies living things. The MagLab has seven user facilities located across our three campuses. Find out more about these facilities and the research conducted there by using the faciilties links at left. Dozens of high-field and resonance measurement techniques are available at the lab, and our dedicated team of user support scientists work with visiting scientists to develop and apply these techniques in our magnets and spectrometers. The lab offers a wide array of resources to our users, including a deeply experienced support staff, customized tools, training, funding opportunities, accommodations coordination and more. Please use the User Resources links at left to find out more. The lab also has a number of important in-house research groups that complement the user facilities through development of new techniques and equipments. For more information, consult the Facility Director list on this page or use the page navigation to explore facilities.